As we dive deep into training camp, there are plenty of NFL storylines to closely monitor that has a great chance of shaping and molding the 2017 season. From the improvement of the defending Super Bowl champion New England Patriots to the Washington Redskins having arguably the most underrated offensive unit in the league. Here are the intriguing storylines to keep an eye on as that may have an important hand in the direction of the season. The Oakland Raiders are legit Super Bowl contenders – It took quite some time but the Oakland Raiders have drastically evolved from constant joke to legitimate championship contenders. The Raiders were 12-4 this past season and earned a playoff spot thanks to a lethal passing offense in QB Derek Carr and WRs Amari Cooper and Michael Crabtree and the emergence of a superstar in the making in DE Khalil Mack. Now you add in veteran RB Marshawn Lynch to mix and the offense may have taken an important step. Improvements are needed on defense however the team is looking forward to several key additions (S Obi Melifonwu, CB Gareon Conley, DE Mario Edwards Jr., LB Jelani Jenkins) that will be counted on to improve the unit at each level. Major changes in Dallas – The Cowboys were 13-3 and riding high as the #1 seed into the playoffs. After a home loss to the Packers in the NFC Divisional round came an offseason in which the Cowboys saw their secondary get picked apart in free agency. Losing veterans Brandon Carr, Morris Claiborne, J.J. Wilcox, and Barry Church took away three starters and a vital role player. Now the team will look for Orlando Scandrick and Nolan Carroll as the team’s primary options at corner. Longtime special teamer Jeff Heath will be thrusted into the starting strong safety role. Despite all of the talent on offense and the reliability at linebacker, the Cowboys will need their secondary to make plays in order for the team to go far. Rookie QB in Houston – Without the presence of superhuman J.J. Watt at defensive end and consistency at QB, the Texans somehow found themselves in the playoffs at 9-7 and even picked up a playoff victory over the team mentioned above. Watt returns from a severe back injury but the team may now look at a rookie at the most important position. Former Clemson QB Deshaun Watson was drafted 11th overall by the Texans and will be entangled within the team’s quarterback battle. Along with veteran QBs Tom Savage and Brandon Weeden, Watson will compete to become the team’s permanent starter. Savage appears to be the “clear favorite” but it would not be surprising if the rookie somehow makes his way into the lineup. The veteran talent on offense has the Texans as a dangerous team in the AFC and even a talented rookie in Watson can elevate the team. Falcons try to avoid a hangover – They will experience it pretty much the entire season. The flashbacks of Super Bowl LI will be played every game for the Falcons and it will be unavoidable. Most Super Bowl losing teams suffer a setback the very next season. The last team to lose a Super Bowl and still make the big game the very next season was the 1994 Buffalo Bills. In other words, the Atlanta Falcons have their work cut out for them. 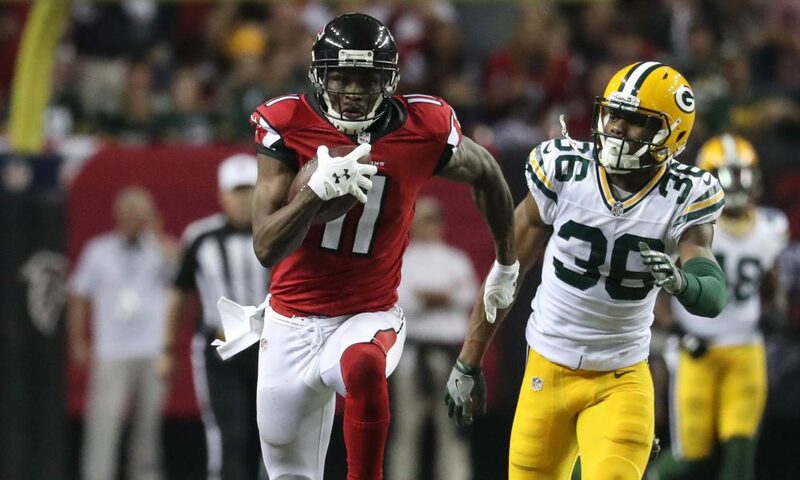 A loaded offense that scored 540 points last season returns just about every key cog from QB Matt Ryan, WR Julio Jones, RBs Devonta Freeman and Tevin Coleman, and OL Eric Mack and Jake Matthews. The improving defense added NT Dontari Poe, get the return in CB Desmond Trufant and drafted rookies Takkarist McKinley and Duke Riley. For a team that lost the Super Bowl in horrible fashion, they return a roster that is amongst the best in the entire league. An interesting season awaits the defending NFC champions. A young team on the rise in Nashville – The Tennessee Titans were 9-7 this past season and on the doorstep of the playoffs. A few things needed patching up this offseason (playmaker at WR, help in the secondary) and the team attempted to accomplish those tasks. Drafting WR Corey Davis out of Western Michigan at 5th overall gives the team their most talented receiver in quite some time. Signing veteran CB Logan Ryan and drafting CB Adoree Jackson helps out a secondary that was 30th in the league in passing defense. The Titans have the right mixture of young and veteran talent to win the AFC South division. Keep an eye on the rising team. The champs are even better – The New England Patriots are fresh off their fifth Super Bowl and the team may be as good as they have ever been during the Bill Belichick era. An offseason trade for WR Brandin Cooks gives the Patriots a deep threat that has 17 touchdown catches the past two seasons. Another offseason trade for DE Kony Ealy gives the defense a young pass rusher who posted three sacks against Denver in Super Bowl 50. Signing CB Stephon Gilmore gives the team a solid corner in an already solid secondary. It is likely that the Patriots make a deep playoff run with a roster that is truly bolstered this offseason. A potentially dangerous Redskins team (at least on offense) – Most of the talk involving the Redskins this offseason pertains to QB Kirk Cousins and his contract situation. Outside of the spotlight is the offense that is surrounding Cousins. 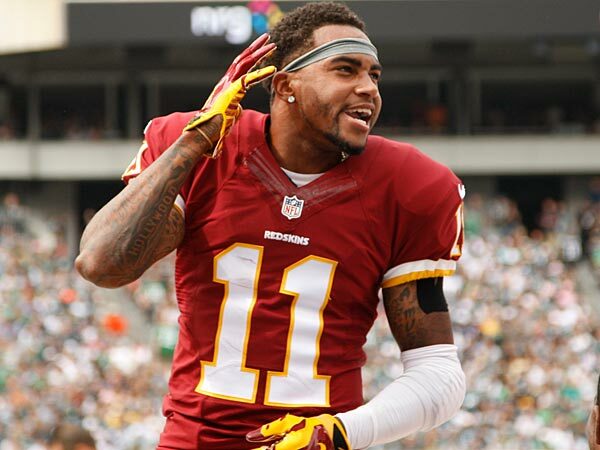 The team lost two 1,000 yard receivers to free agency but have a potentially dangerous duo in WRs Terrelle Pryor and Josh Doctson. 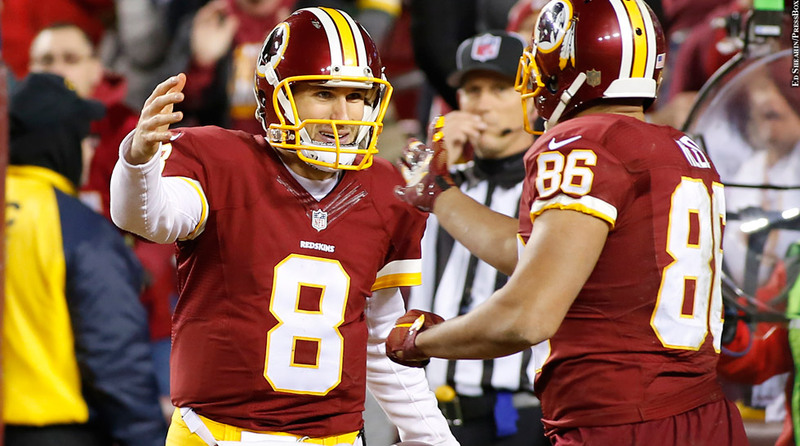 Established veteran WR Jamison Crowder and TE Jordan Reed are productive assets that make life easy for Cousins. The Redskins were third in the league in total offense and even with the losses in free agency, there is still enough ammo for the Redskins to haunt defenses in 2017. Spotlight in Gotham City – As WR Odell Beckham Jr. roamed the sidelines for the New York Giants, the electric receiver and the team was always in the limelight. Now the team has the services of Brandon Marshall on offense to team with Beckham and slot reciever Sterling Shepard. The Giants have an elite trio at receiver. 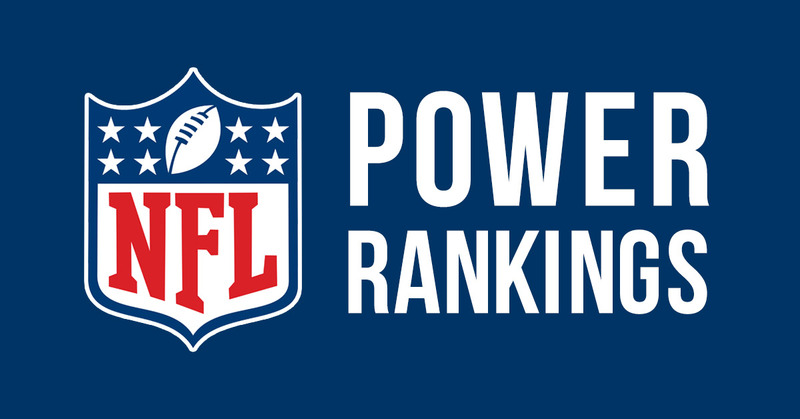 On defense, the 10th ranked defense in the league has an athletic tandem at defensive end in Jason Pierre-Paul and Olivier Vernon and an emerging safety in Landon Collins. Sprinkle in a cornerback duo in Janoris Jenkins and Dominique Rodgers-Cromartie, who combined for nine interceptions, and the Giants have a team that is a heavy favorite for the NFC East division. Get ready for constant talk of Giants and a playoff run. Julio Jones The Best Wide Receiver In The Game?